We took a little trip to the Marblehead Peninsula to see the Liberty Aviation Museum in Port Clinton and revisit a favorite place: the Marblehead Lighthouse, at the eastern tip of the peninsula. The aviation museum is very interesting, especially to those interested in World War 2 aircraft, and keeps alive the heritage of the Ford Tri-Motor aircraft. They’re even rebuilding a Tri-Motor at the museum. Astonishingly you can also see, close-up, a flightworthy B-25J Mitchell Bomber in the cluttered but clean hangar facility. Still, my favorite part of the trip was clambering around on the rocks at water’s edge by the lighthouse. 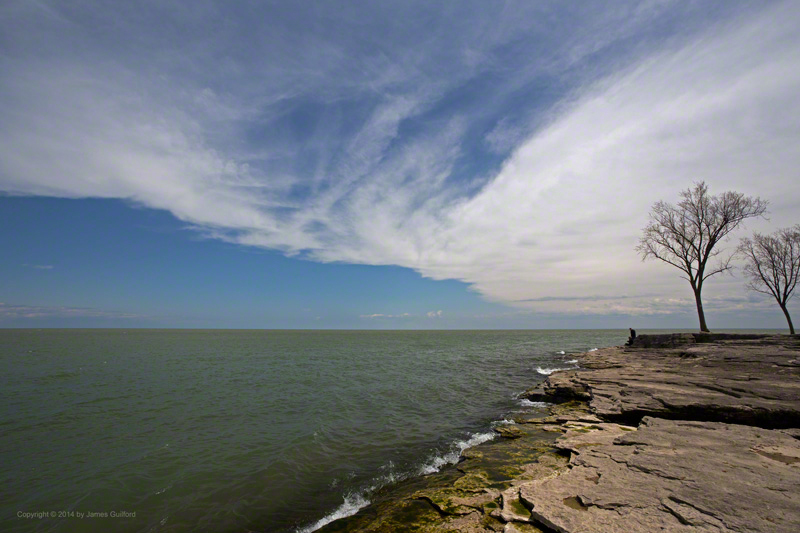 It was a lovely spring day, though a shelf of clouds was moving in from the south. 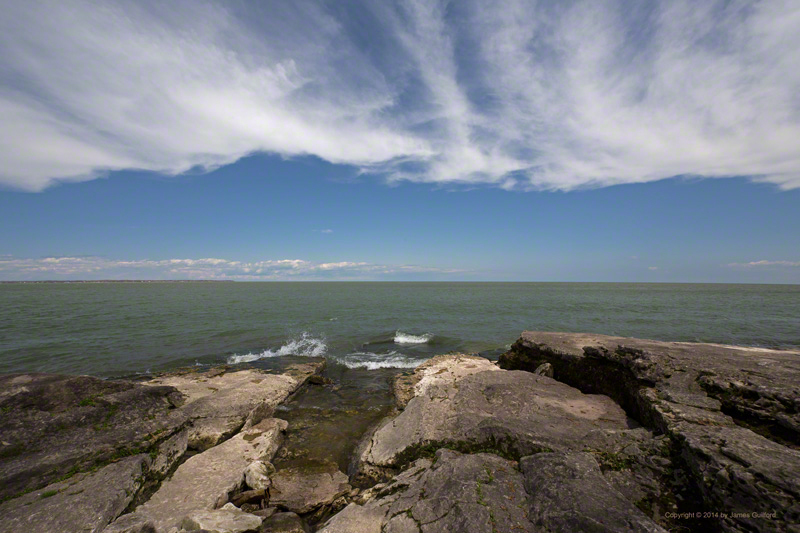 My photography for the day included trying out a brand-new circular polarizer (Cost $$$) and I like the results.